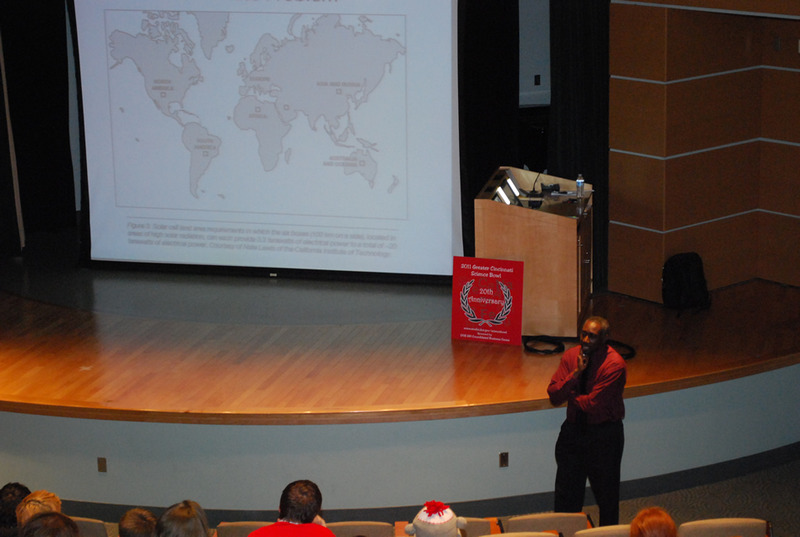 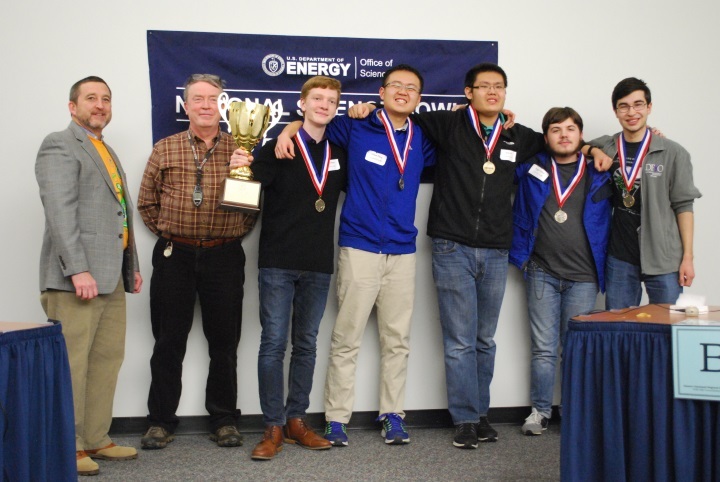 High schools in most of Ohio and Kentucky (see also the South Central Ohio and Western Kentucky Regionals) may register for the 2019 Greater Cincinnati Regional High School Science Bowl beginning October 2nd. 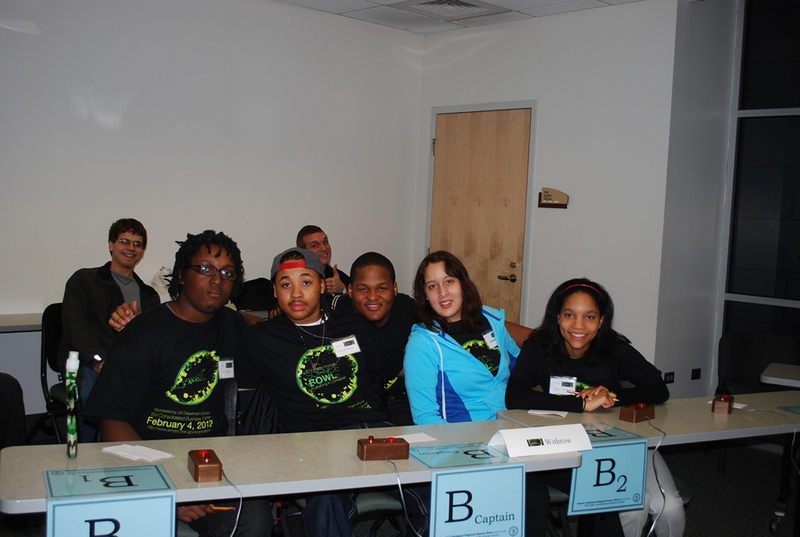 Registration is only accepted online and is at no cost to participating schools. 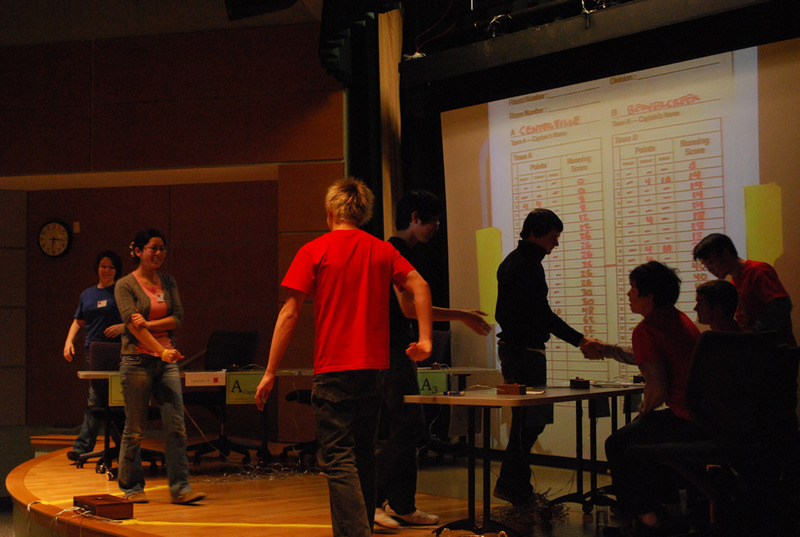 Teams must register each year of participation. 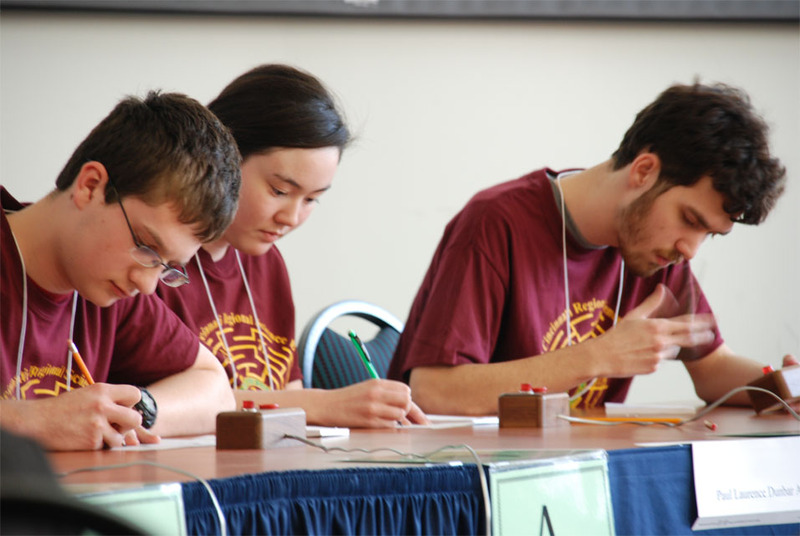 The competition is limited to the first 24 high school teams that respond. 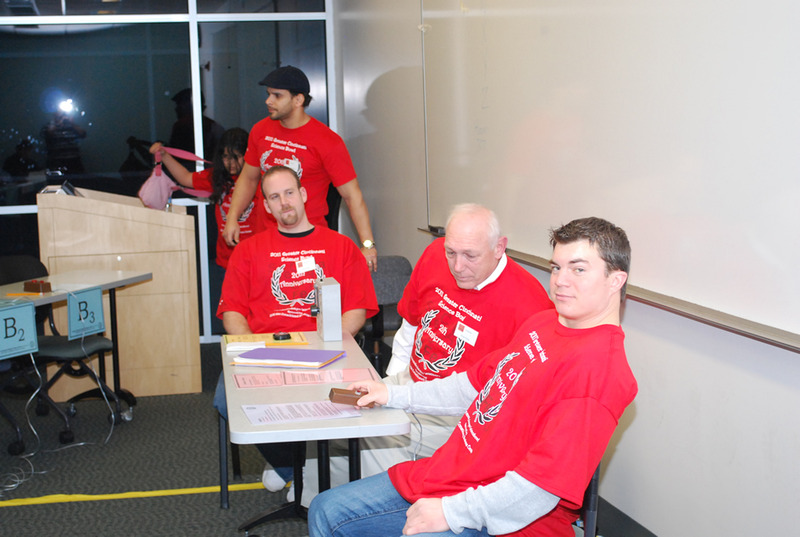 Teams will be enrolled based on the order in which their applications are received. 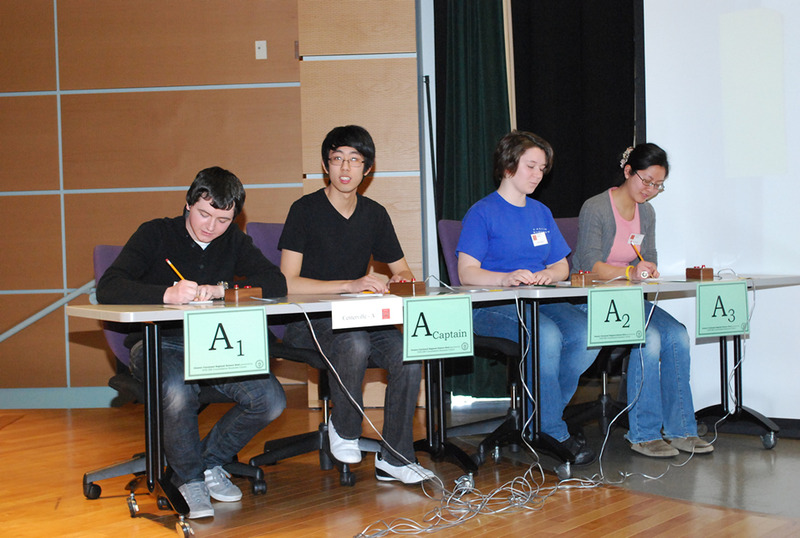 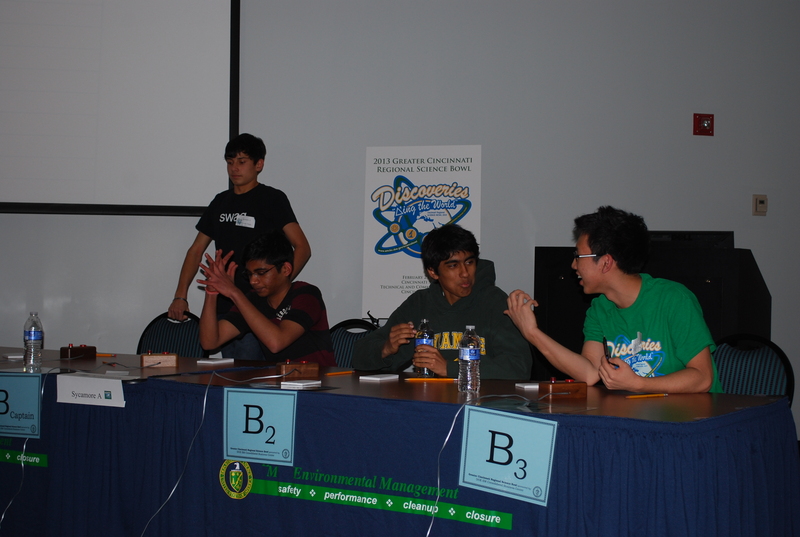 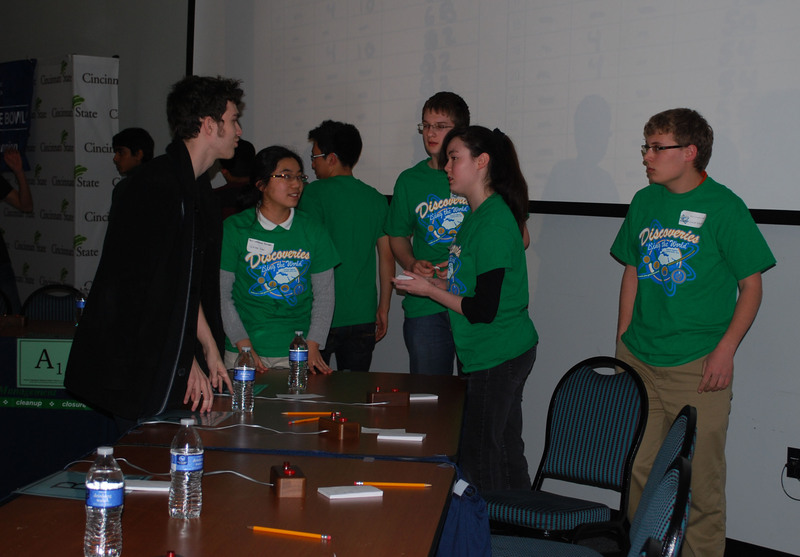 Schools may submit three teams, the first choice "A", second choice "B", third choice “C”. 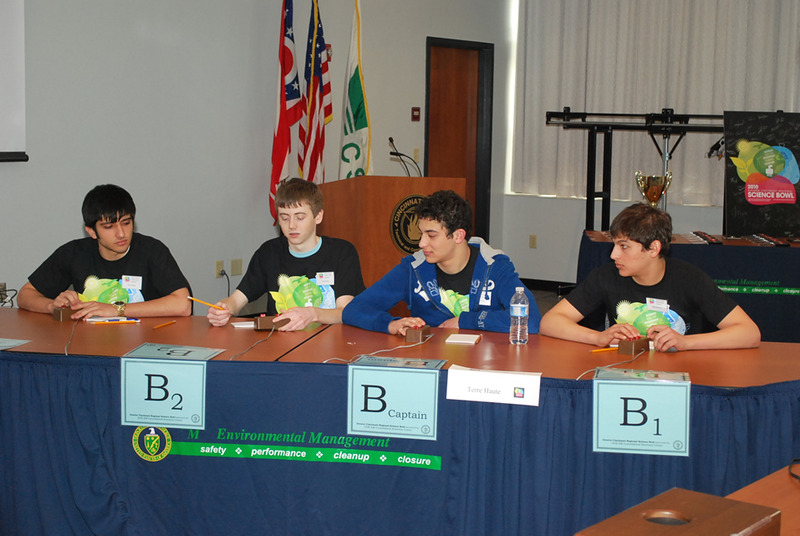 If 24 high schools do not respond, then the "B" and “C” teams will be used space permitting, again based on the date of entry submission. 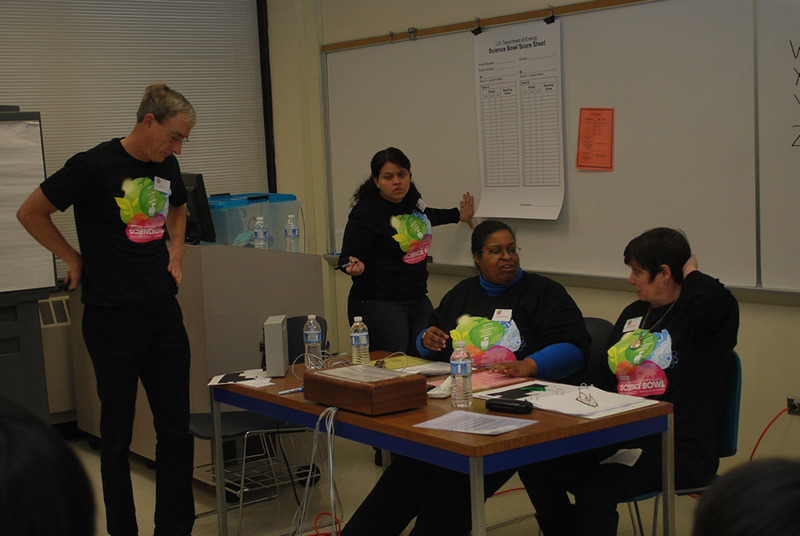 Schools must be registered online by February 17, 2019. 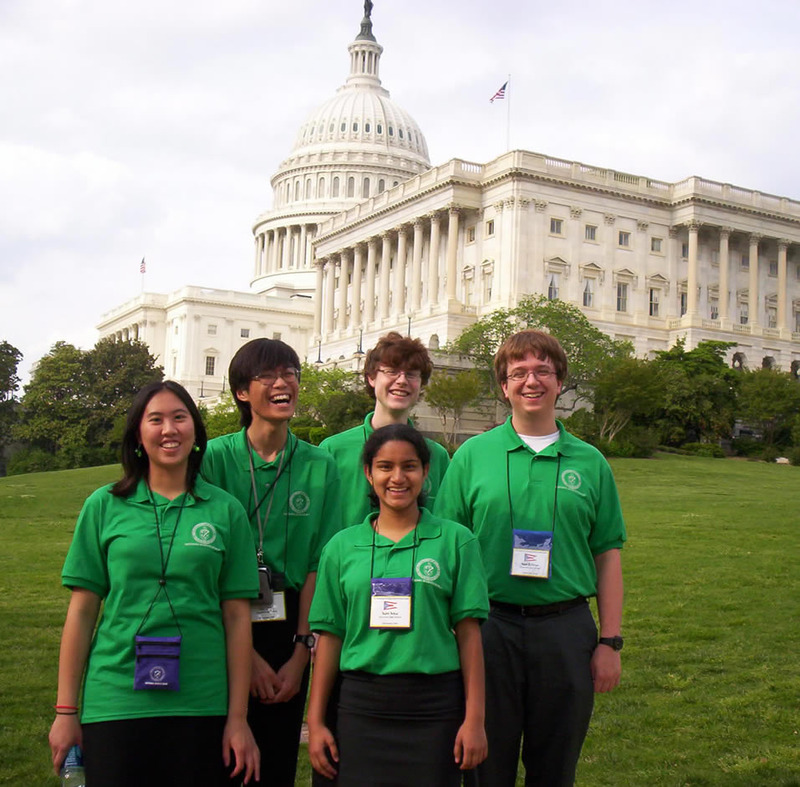 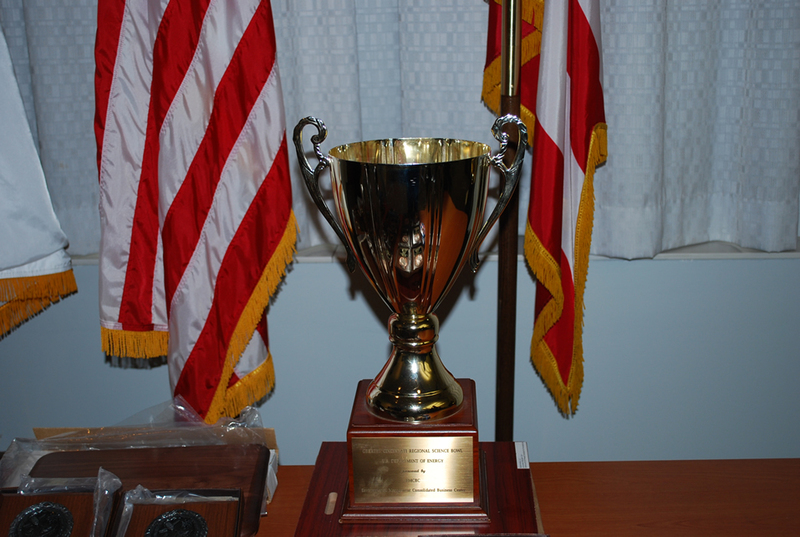 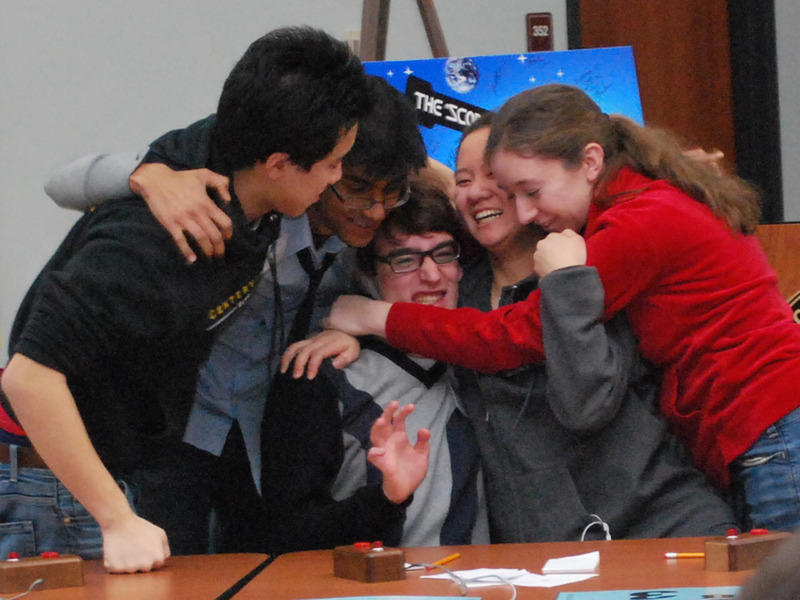 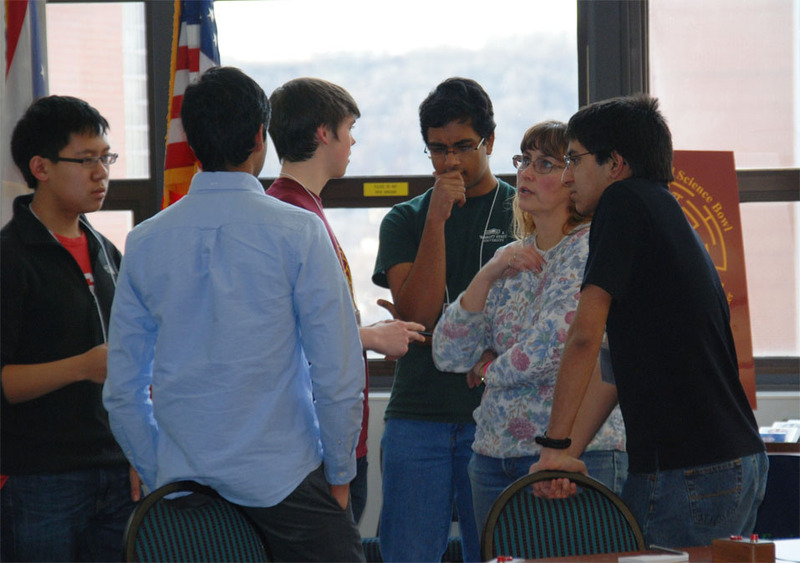 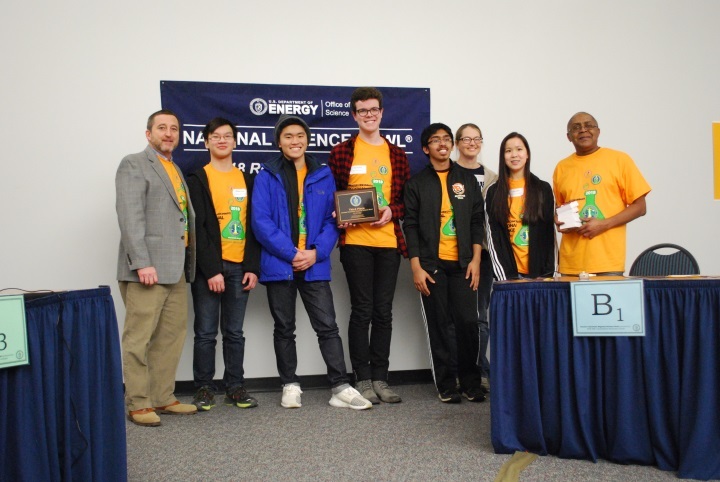 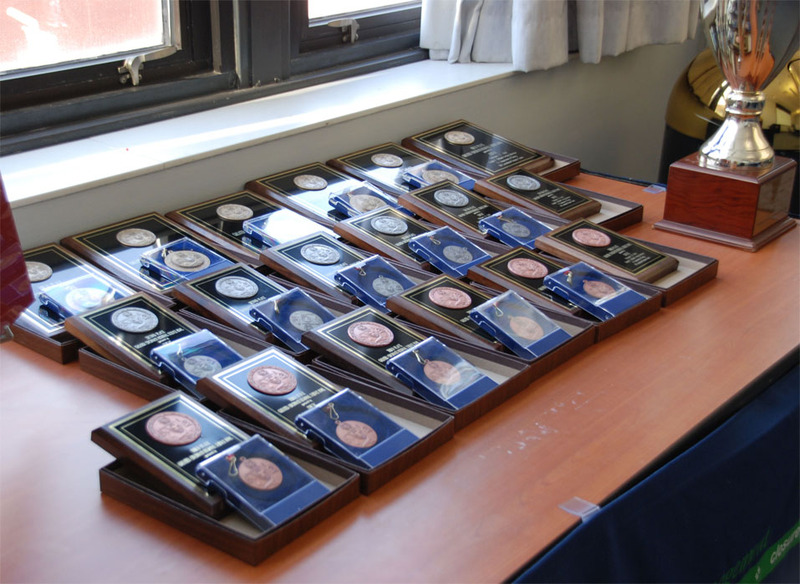 Each year, the winning regional High School team receives an all-expense paid trip to Washington, D.C., to compete in the (DOE) National Science Bowl®, a Championship trophy to display at their school for a year, and awards for each team member. 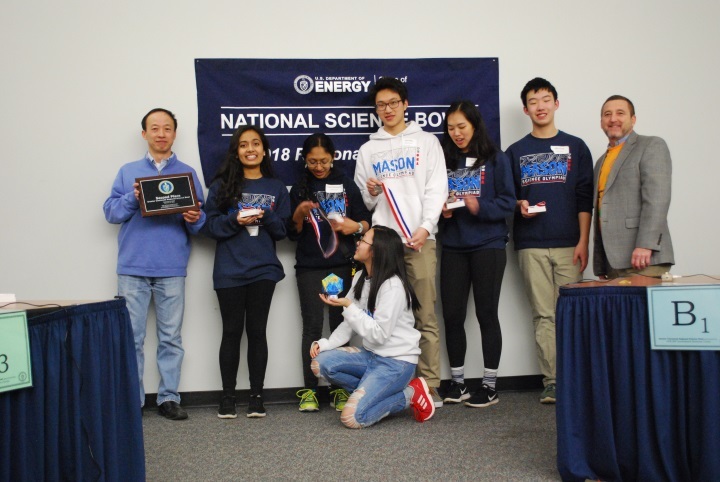 Second and Third Place team members also receive awards, and all participants receive take home gifts for competing in the Regional Science Bowl. 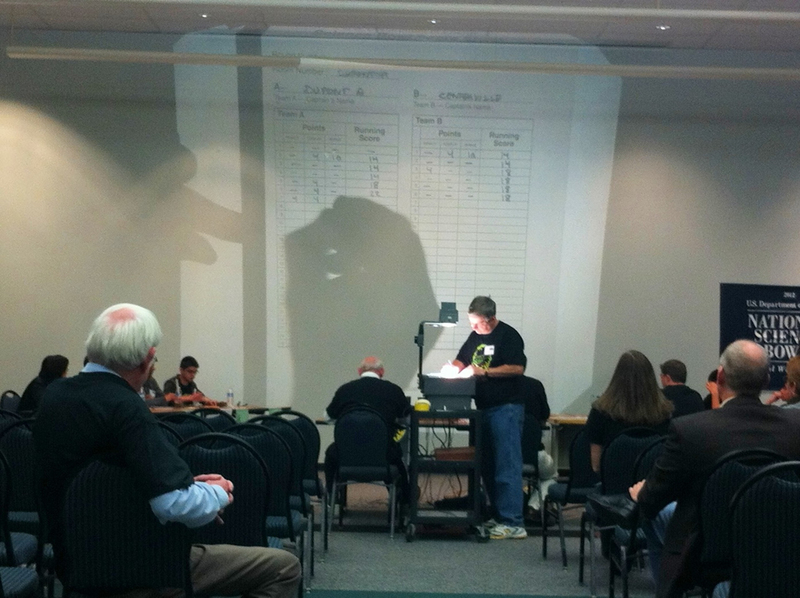 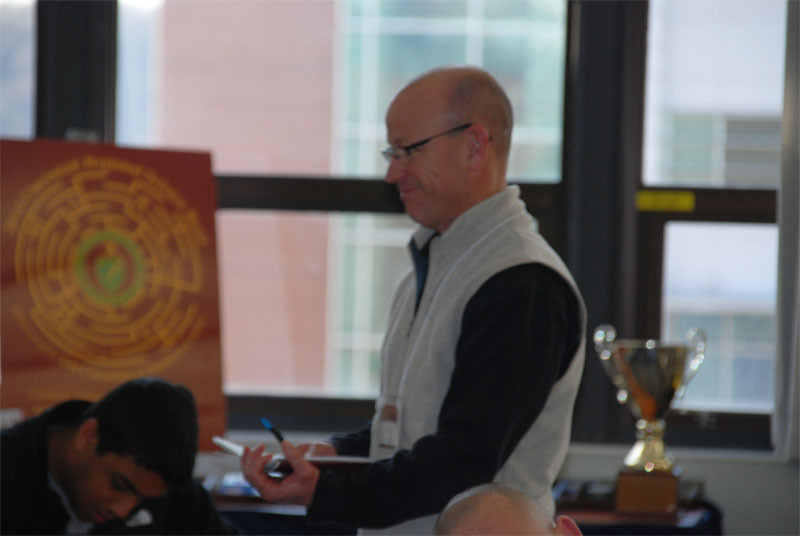 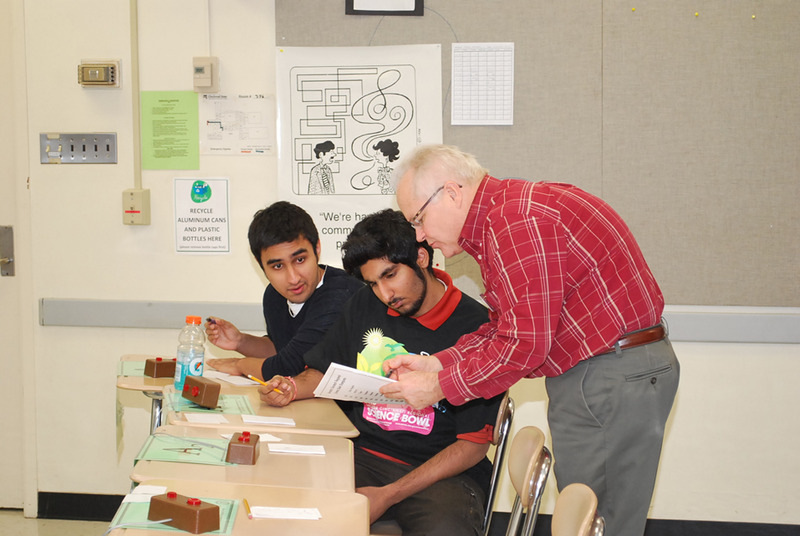 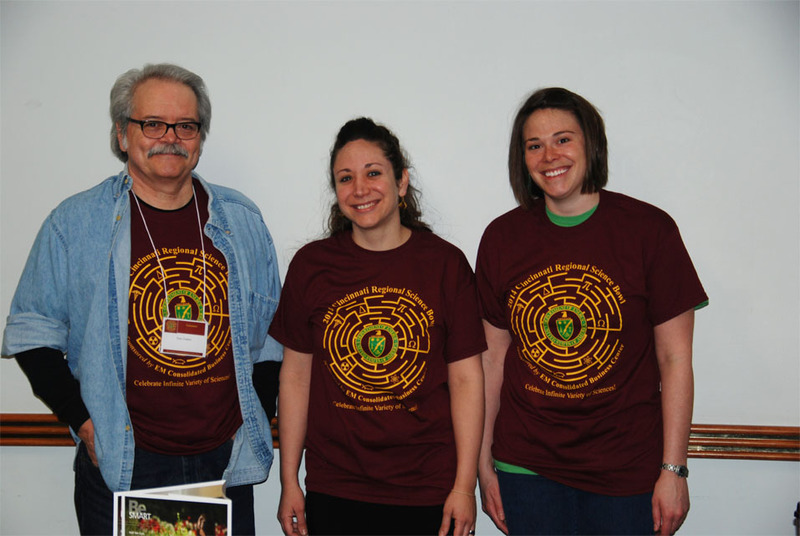 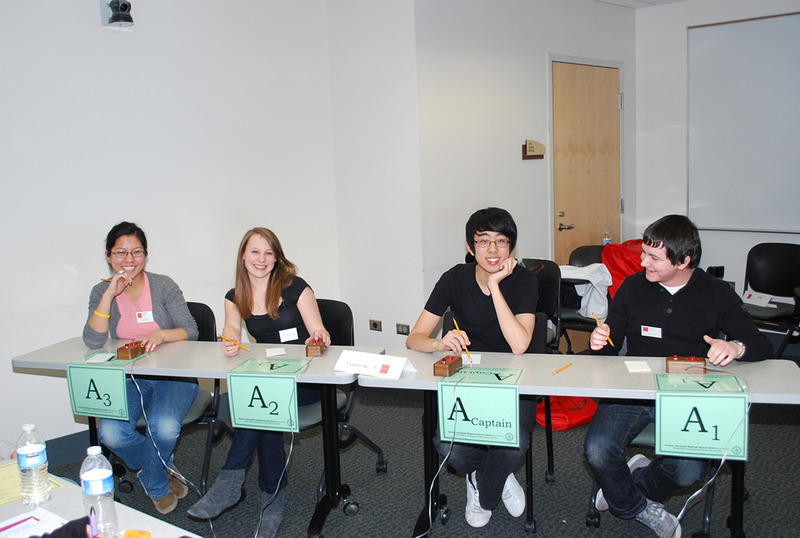 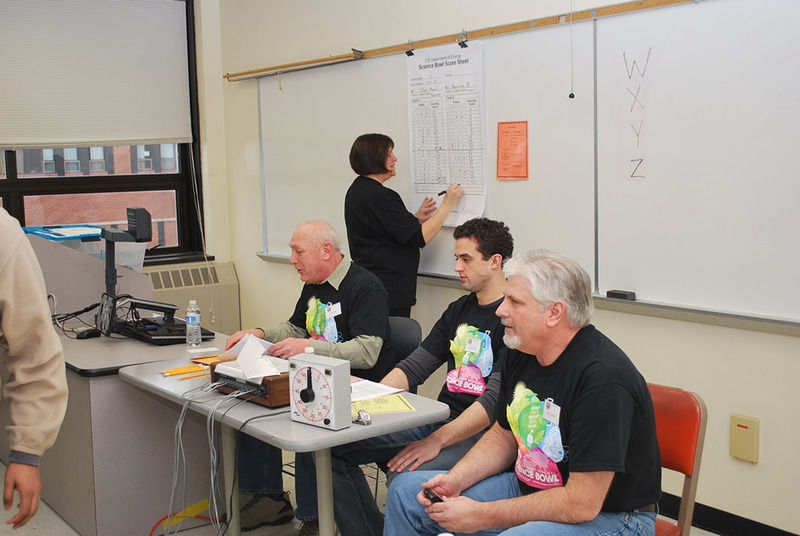 The Greater Cincinnati Regional Science Bowl would not happen without the outstanding support of our over 50 volunteers. 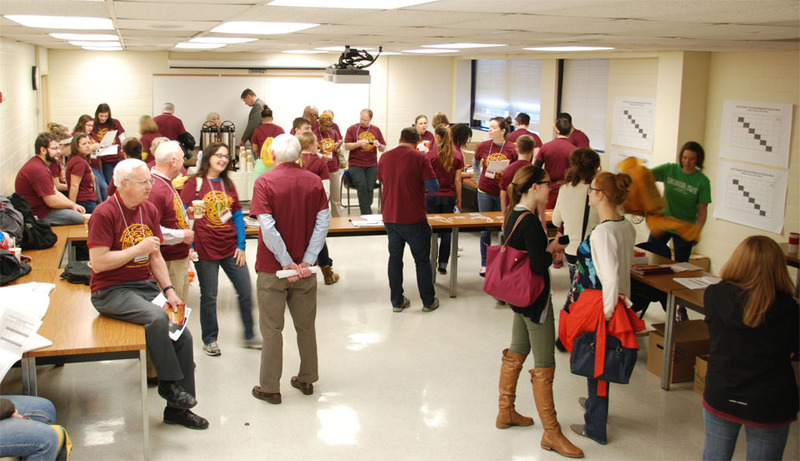 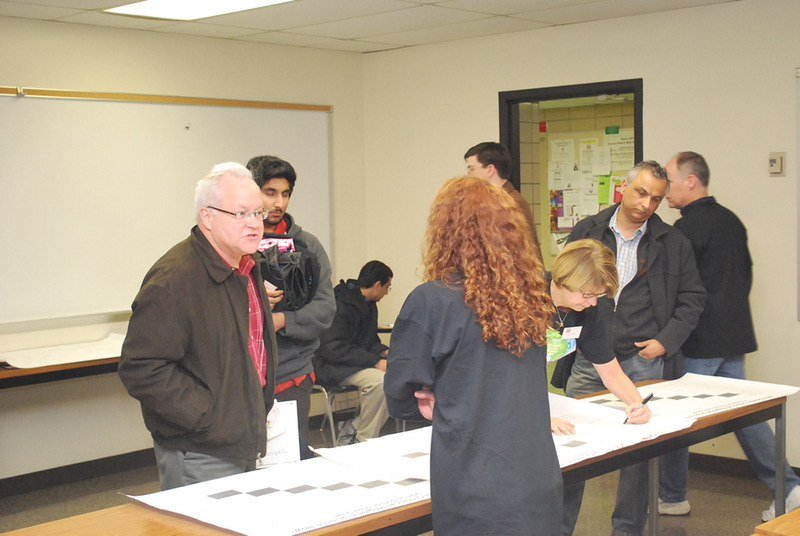 Volunteers vary in scope from DOE EMCBC employees, DOE Retirees and former Contract Employees, various businesses, agencies, and members of the community who share their dedication to advance frontiers in science. 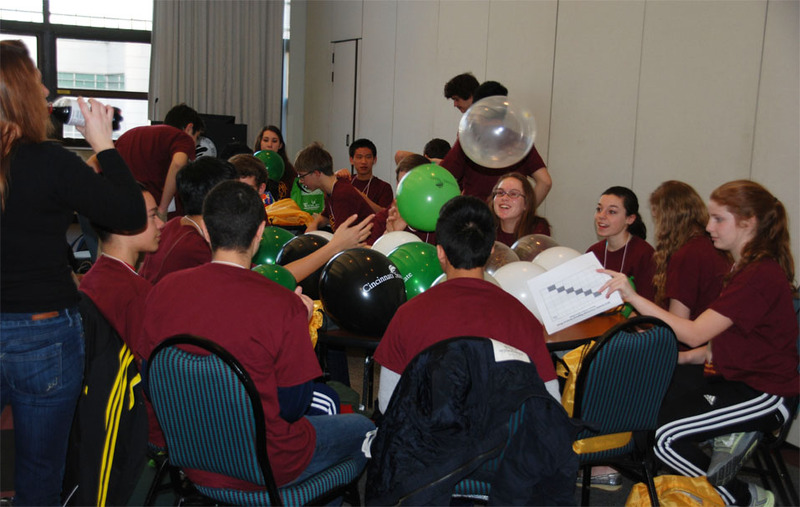 The DOE EM Consolidated Business Center encourages involvement through participating and promoting Science Education outreach. 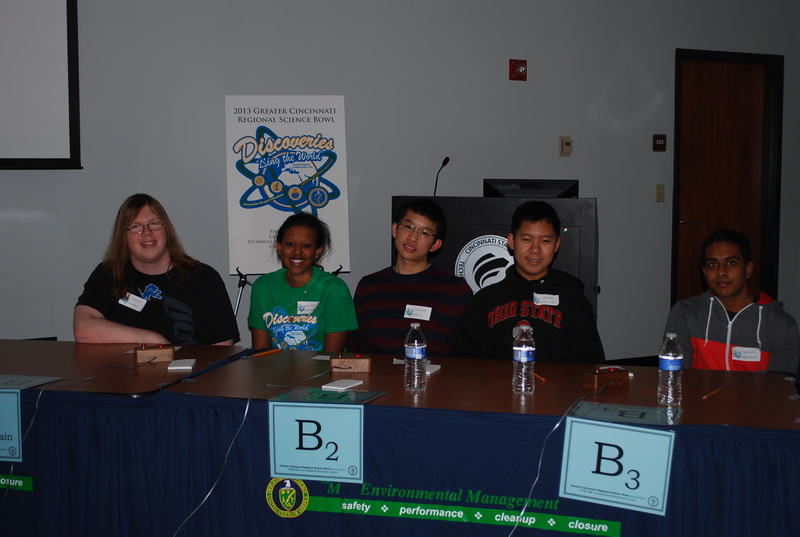 If you, your group, business, or organization would like to be involved with the Greater Cincinnati Regional Science Bowl, have registration or general questions; please contact the Greater Cincinnati Science Bowl Regional Coordinator, Melvin Boyd, by email (mailto:melvin.boyd@emcbc.doe.gov), or by phone at 513-246-0576. 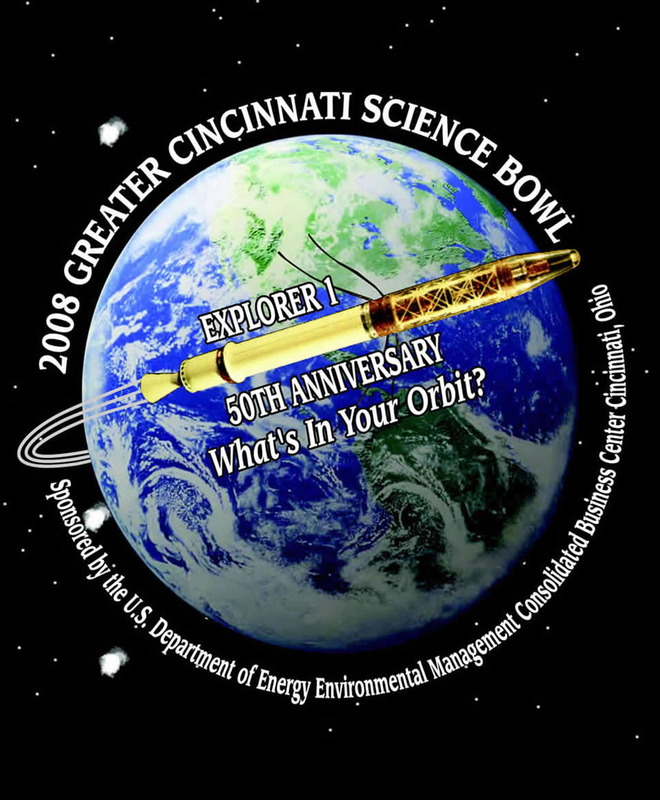 The DOE EMCBC mailing address is: U.S. Department of Energy c/o Melvin Boyd; 250 E. 5th St. Suite 500; Cincinnati, OH 45202. 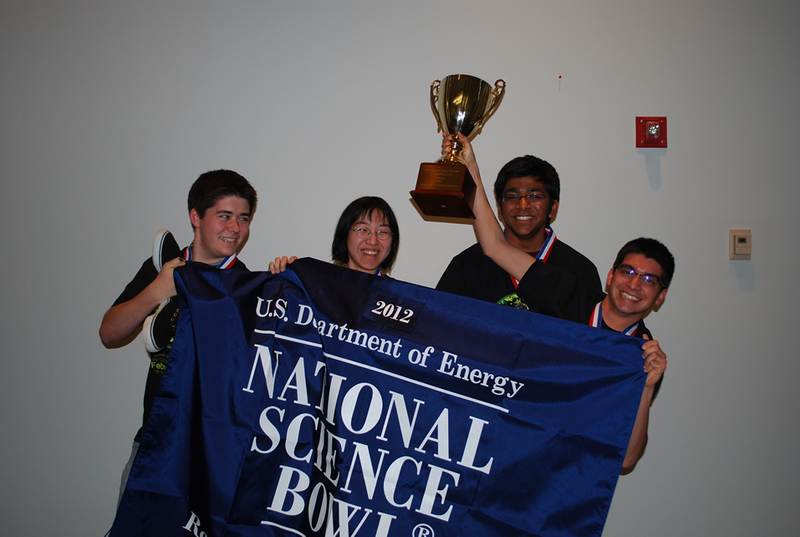 Or, you can fill out this form and email it to: sciencebowl@emcbc.doe.gov. 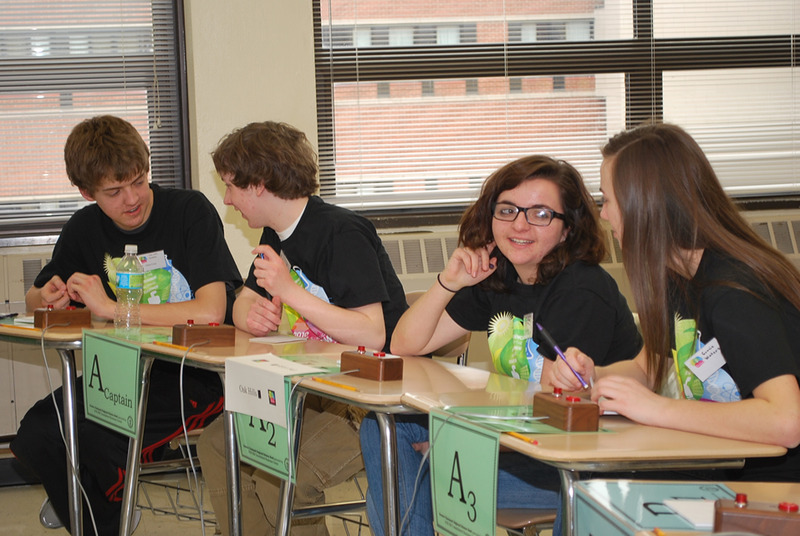 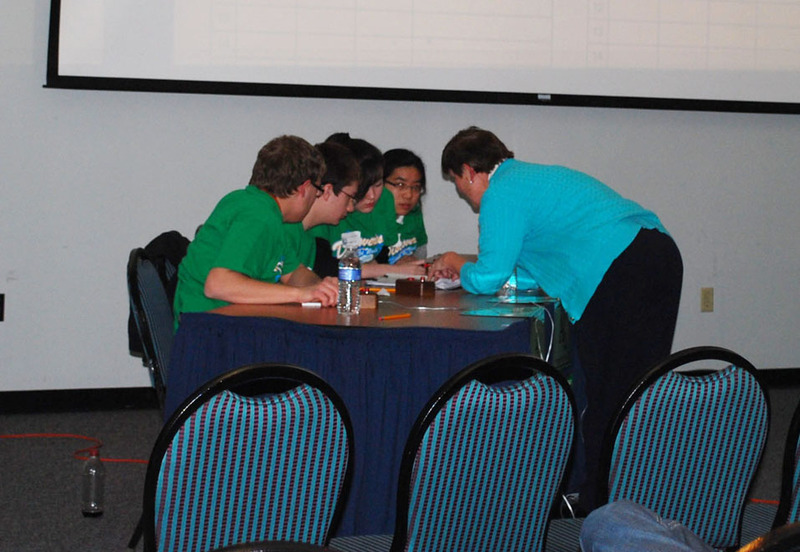 Note: All Ohio Middle Schools are eligible to participate in the Indiana Regional Middle School Science Bowl. 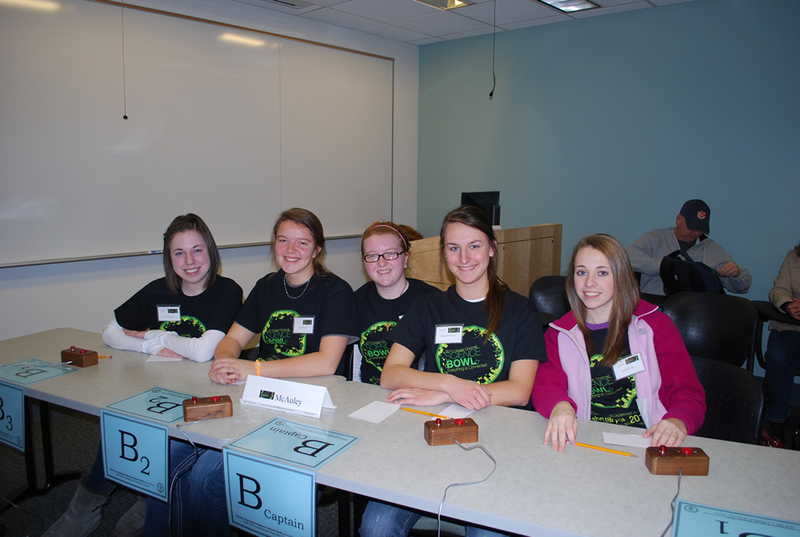 All Kentucky Middle Schools can participate in the West Kentucky Regional Middle School Science Bowl.